The Physical Education faculty is a group of dedicated and experienced professionals, with many years of teaching in a wide variety of activity areas. Many of us are recognized experts in our fields and leaders in the community. We are committed to providing quality instruction to our students through a wide variety of courses and learning opportunities to meet our students’ needs, interests, and abilities. We recognize our unique opportunity to work with students to influence them and have a positive impact on their lives. We take this responsibility very seriously. Professor June Beverly has been a member of John Abbott College’s Department of Physical Education since 1995. She holds Bachelor degrees in Physical Education and Art Education from the universities of McGill and Concordia, as well as a Masters in Teaching in the Arts from McGill. June was once a student in the Creative Arts department at JAC and is pleased to be teaching is such great school. At JAC, June has taught the activity areas including; fitness, aquatics and team sports. What she enjoys most about teaching at JAC is helping students understand the value of good health. Her favorite sports are sailing, skiing, dancing, swimming and scuba diving. Barbra Chaimberg has been a member of John Abbott College’s Department of Physical Education since 1980. She holds a Bachelor degree of Science in Kinesiology from University of Waterloo, as well as a Masters in Psychology from Concordia University. 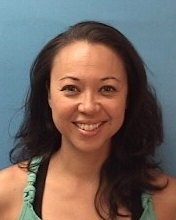 She primarily teaches Core Strength, Pilates and Balletfit. What she enjoys most about teaching at JAC is getting to meet such a diverse group of students and hopes to inspire students to engage in a lifetime of good health. Joel Fitleberg has been a member of John Abbott College’s Department of Physical Education since 2009. He holds a Bachelor degree in Education (majoring in Physical Education) from McGill University. At JAC, Joel currently serves as Chair of the Curriculum Development Committee. He is also a coach of the Golf Team, and coordinates the Squash Club. 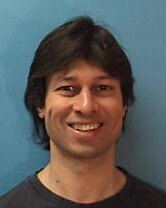 Professor Ghinani has been a member of John Abbott College’s Department of Physical Education since 2009. He holds a Bachelor degree in Human Kinetics from the University of Ottawa, as well as a Masters in Neurological Sciences & Neurosurgery from McGill University. At JAC, Professor Ghinani coaches the Cross-Country running team and serves as a member of the Academic Advisory Committee for International Projects in the College. What Professor Ghinani enjoys most about teaching at JAC is sharing his unyielding passion to push his own limits. This is revealed through his teaching by encouraging students to continuously reach and surpass their own limits. He has competed at national levels in kickboxing and running and international levels in taekwondo. In his spare time he enjoys traveling, hiking, canoeing, climbing, running, working out, cooking and reading. 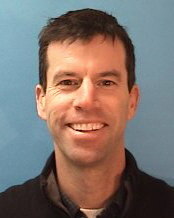 David Hill has been a member of John Abbott College’s Department of Physical Education since 2004. He holds a Bachelor degree in Physical Education, as well as a Master’s degree in Educational Leadership from McGill University. At JAC, David serves as the Outdoor Education Chair within the faculty of Physical Education. He also serves as a member of the Sustainability committee of the College. David has been recognized with the SUJAC award for contributing to student life and the Association of Physical Educators of Quebec’s Cegep Physical Education Teaching Excellence Award. What David enjoys most about teaching at JAC is seeing students have fun, exceed their own self-imposed limitations and become powerful agents of positive change (preferably OUTDOORS). 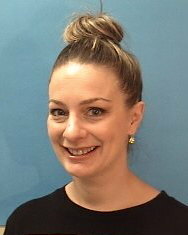 Monica Healey has been a member of John Abbott College’s Department of Physical Education since 2010, and holds a Bachelor’s degree in Education from the University of McGill. Monica is a certified Yoga Instructor having completed teacher trainings with both Moksha Yoga International and YogaFit Training Systems. 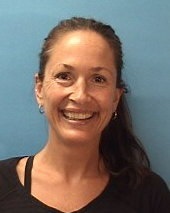 She is also a YMCA certified Fitness Instructor and specializes in Spinning instruction. Monica is an active member of the JAC on the Move committee and enjoys helping students discover new ways to lead an active lifestyle. Professor Mike Homsy has been a member of John Abbott College’s Department of Physical Education since 1982. He holds a Bachelor degree in Education from McGill University. At JAC, Professor Homsy served as Chair of the Department from 1996-2006. What Professor Homsy enjoys most about teaching at JAC is the relationships developed with the students. A West Islander and former John Abbott student, I loved my physical education classes so much I decided I was going to teach at the school one day. After a Bachelor and Masters in Physical Education at McGill University, I was soon part of this wonderful institution. My particular interests lie in motivating my students to develop better lifestyle habits that they can carry through their lives. 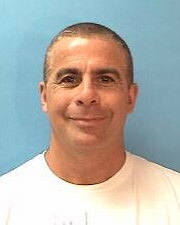 I am an ex swimmer and lifeguard who worked in fitness centers for years where I discovered and developed a love for yoga. Melissa Hunn has been a member of John Abbott College’s Department of Physical Education since 2011. 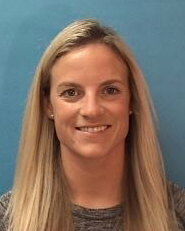 She holds a Bachelor degree in Health and Exercise Science from Furman University, as well as a Masters degree in Adapted Physical Education and a Certificate of Advanced Graduate Studies in Physical Education from Springfield College. She also serves as a member of the Food Advisory committee of the College which promotes healthy nutrition on campus. 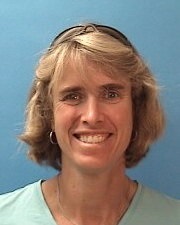 She primarily teaches fitness conditioning, team sports and various racquet classes. What she enjoys most about teaching at JAC is getting to meet such a diverse group of students and helping them understand the importance of living a healthy and active lifestyle. Bronwen Lloyd-Hughes has been a member of John Abbott College’s Department of Physical Education since 2015. She holds a Bachelor degree in Education (Physical Education) from Mc Gill University . 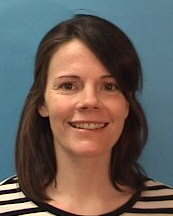 Bronwen primarily teaches Dance and Yoga classes, and serves as a member of the Curriculum Development Committee. What she enjoys most about teaching at JAC is seeing the students get so much enjoyment out of exercising in dance and revisiting different and exciting ways to maintain a healthy lifestyle. Brianna Miller has been a member of John Abbott College’s Department of Physical Education since January of 2018. She holds a Bachelor degree in Physical Education from McGill University, as well as a Master’s degree in Education from the University of Ottawa. As a current member of the Senior Women’s National Rugby 15’s team, she is also the Academic Advisor for the Islander men’s rugby team. She primarily teaches fitness conditioning, team sports, spinning and badminton classes. What she enjoys most about teaching at JAC is seeing all the support and academic assistance the school has to offer the students and student athletes. 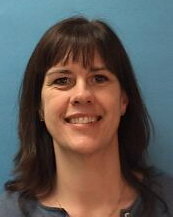 Laura Morrison has been a member of the Physical Education Department at John Abbott College since 2000. She holds a bachelors degree in Arts from Concordia University as well as a Bachelors degree in Physical Education from McGill University. Laura Morrison serves as a member of the curriculum development committee and has been recognized with the SUJAC award for outstanding contribution to school life at John Abbott College. What she enjoys most about teaching at JAC is helping students to have fun while being active in hopes that they will continue to lead an active lifestyle. 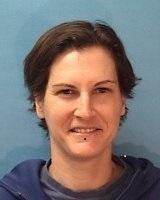 Karen Oljemark has been a member of John Abbott College’s Department of Physical Education since2004. She holds a Bachelor degree in Physical Education from McGill University, and is submitting her thesis this year for her Master’s degree in Education Policy and Leadership with the Department of Integrated Studies in Education from McGill University. At JAC, Professor Oljemark teaches primarily fitness and outdoor education courses and served as Chair of the Department from 2007 to 2013. She also currently serves as the Department’s General Education representative on the College’s program committees as well as a member of its Academic Program Coordination Committee. What Professor Oljemark enjoys most about teaching at JAC is the privilege of inspiring students to maintain healthy and active lifestyles, and in particular the opportunity to introduce them to the benefits of outdoor physical activities. 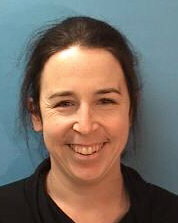 Professor Laura Pfeiffer has been a member of John Abbott College’s Department of Physical Education since 2007. She holds a Bachelor degree in Education (Physical Education) from McGill University, as well as a Master’s degree in Adapted Physical Education from McGill University. At JAC, Professor Pfeiffer has served as Chair of the Department of Physical Education since Fall 2013. She also serves as a member of the Teaching and Learning Environment committee and the Student Success committee of the College. Professor Pfeiffer most enjoys helping students to successfully navigate their way through this important time of their lives. Chelsea Privée has been a member of John Abbott College’s Department of Physical Education since 2011. She holds a Bachelor degree in Physical Education from McGill University, as well as a Masters in Physical Education Pedagogy from McGill University. The thing Chelsea enjoys most about teaching at JAC is that she gets to share her passion with all of her students. Chelsea loves teaching all fitness and team sports courses, including CrossFit, Rugby, Ice Hockey, Squash, as well as Police technology and PHEC Physical Skills courses. She is a Certified CrossFit coach and is involved in teaching bootcamp classes on campus to staff as well as fitness courses and Physical Education at the McGill MacDonald campus. She is also an assistant coach for the McGill Martlet Rugby Team. John Roberts has been a member of John Abbott College’s Department of Physical Education since 2008. He holds a Bachelor of Science degree in Kinesiology from Concordia University, as well as a Bachelor of Education in Phys.Ed from McGill University. At JAC, John serves as Co-Chair of the Department of Physical Education. What John enjoys most about teaching at JAC is sharing with his students his interest in exercise, health, sport science and the outdoors. He believes that outdoor pursuits not only benefit physical fitness they enhance the ability to take on all of life’s challenges. John, when not on campus, will most likely be found on the side of a mountain or in the middle of a lake. 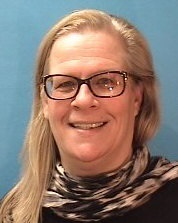 Professor Jane Shaw has been a member of John Abbott College’s Department of Physical Education since 2006. She holds a Bachelor degree in Education (Physical Education) from McGill University, as well as a Masters in Physical Education (Administration) from the University of Ottawa. At JAC, Professor Shaw serves as a Chair of the Racquet Sports committee and is a member physical education hiring committee. What Professor Shaw enjoys most about teaching at JAC is having the opportunity to work with the students, teaching them the technical aspects of a wide variety of sports and exposing them to all the different aspects of what it means to lead a healthy lifestyle. 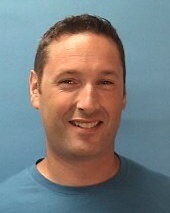 Ted Wall has been a member of John Abbott College’s Department of Physical Education since 2006. He holds a Bachelor degree in Physical Education from McGill University, as well as a Masters in Biomechanics. 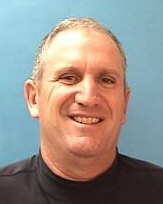 Ted serves as a member of the Hiring committee of the College, as well as acting as the curriculum chair for Team Sports. Ted is also the Strength Coach for the college football team. 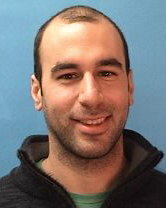 Mikhail Zimerman has been a member of John Abbott College’s Department of Physical Education since 2008. He holds a Bachelor degree in Physical Education from McGill University, as well as a Master’s degree in Pedagogy from McGill University. 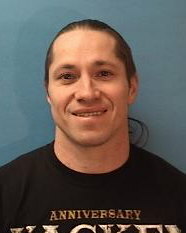 He primarily teaches Martial Arts classes. What he enjoys most about teaching at JAC is to be able to help his students to realize the importance of staying physically active in a fun and positive environment. Physical Education is one of five compulsory core subjects common to all CEGEP programs. Along with English, French, and Humanities, these five comprise the General Education segment of every student’s CEGEP diploma requirements. Today, the cornerstone of Quebec CEGEP education is competency-based learning. It focuses on outcomes, and individualized and flexible pathways to achieve them. It also emphasizes generalizable skills, applicable across program areas, such as language, mathematical, and computer literacy. Its basic tenet is students taking responsibility for their own education. Centers on lifestyle behaviours and participation in numerous activities. Emphasizes skill and knowledge acquisition in a particular activity/sport. Focuses on development of a long-term plan for health and well-being. Within each of these, students are provided with a wide selection of courses to choose from. In all of our courses, active participation, experimentation, and experiential learning are emphasized, along with personal goal-setting and evaluation of progress. Safety and respect for rules and participants are also paramount. We feel our individualized approach to learning best meets the needs, interests, and abilities of our students, and respects both the spirit and practice of competency-based education. For a complete list of the Physical Education courses available at John Abbott College, please browse through the General Education section of the Course Calendar. Our courses, facilities, and teachers exist for only one reason – our students. The Physical Education Department strives to promote healthy and responsible lifestyle behaviours in our students, as well as encouraging their personal, physical, and mental well-being. We attempt to achieve this by providing a scientifically-sound knowledge base, coupled with safe, enjoyable activity experiences. Our goal is to equip students with the necessary tools and knowledge to take control of their personal health and wellness now and in the future. Through our leadership and guidance, we encourage students to incorporate more physical activity into their daily lives and to continue to do so for the rest of their lives.